At Lyon Equipment Limited we design and manufacture a vast range of work at height, specialist rope rescue and outdoor products. With an in-house design team working alongside a continually developing production department, we provide equipment and expertise to rescue and emergency service organisations, outdoor professionals, explorers and work at height specialists in the oil, gas and renewable energy industries. We also have a huge amount of experience in solving gear related challenges and can provide ideas and refinements which really help. 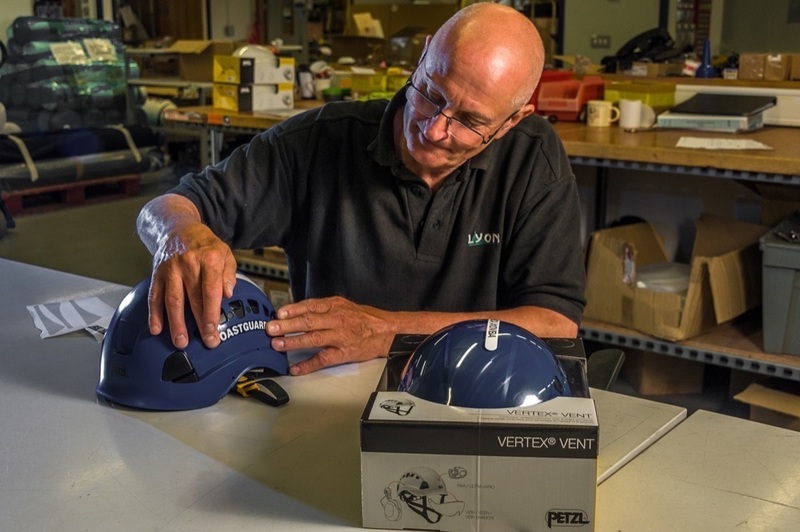 Along with manufacturing and design, we also offer personalisation services including; engraving of metal items, helmet stickerering and logoed Lyon bags. We are also the apporved service partner for Bell, MacInnes and Traverse Rescue Stretchers. We continue to invest both in state of the art machinery and in expanding our highly skilled manufacturing team, all located in our purpose built facility, here in Cumbria.